On this page you will find our current special product promotions to support you through the shifting energetic environment. Be sure to check back often as these are changed regularly! "Lapis Lazuli assists one in gaining adission to the domain of the unknown mysteries of sacred texts and the esoteric ideas, and embracing the wisdom to understand the information. It further allows one to gain access to and explore esoteric planetary knowledge. Known as the 'stone of total awareness, and said to have existed before time was born"
A solid foundational understanding of the actionss of this mysterious and incredibly powerful spiritual force is a must for any serious seeker. This program dispels myths and imparts deeper knowledge that enhances your ability to recognise the many ways in which this energy can manifest. 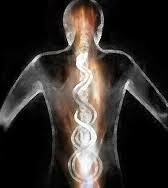 Did you know for instance that kundalini operates in cycles and is not simply a 'one off event giving you enlightenment'? In a year where spiritual power and sovereignty is guiding us forward, it helps to understand the way in which this spiritual force can be brought into play in our lives. As one participant remarked, "I have learned more about kundalini in just the first class than many so-called spiritual teachers were able to provide in 20 years of searching. I am so glad I found you and feel so much more empowered and able to cope with all the strange things I have been experiencing"
﻿New stock is being shipped to the UK on 8 April and will then be distributed. "This is a preparation essence for participating in the power of joyful living. It evokes shivers of Truth in the body as it grounds the energy system by first taking the energy down into the root. The energy then 'springs back' up and expands through the crown. It has an instinctive signature and recognises which part of the body requires opening up for healing. It helps to gently release, offering opportunities to let go. It may even produce a few tears in the reconnection and recognition of spiritual awareness"